Starting a permaculture yoga farm from scratch has definitely been a challenge within itself. It’s exciting, exhausting and exhilarating all at the same time. There is construction, plumbing, solar generated electrics, gardening, tree planting, water issues and much more that is taken into consideration every single day. We have been lucky enough to have a steady stream of solid volunteers that have been working through rain, shine and chilly weather in the earlier months, in order to develop our ‘Zone Zero’ building site into something a bit more homely. However hard labour, heavy lifting and digging gardens all day means that there are at least 10 hungry mouths (including Laurence and I) to feed, 3 times daily. Gram flour pancakes, chickpea hummus, grated carrot and beetroot salad and fried greens from the garden. vegetables that tasted and looked the same every day? It was also around that time that I realised that I was sensitive to gluten which added an extra challenge on top of my veggie cooking woes. During that time I was very good at following a recipe but if I was missing an ingredient, I probably wouldn’t make it! Lack of experience meant that I had no idea what I might substitute the missing item with, so it was best to make something that I had all the correct ingredients for. 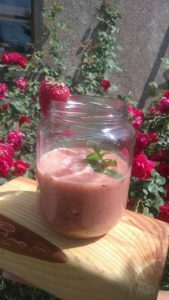 Now I am getting really creative with substitutions, and am generally creating recipes dependent on what is available in the pantry. We are at least 40 minutes from the nearest supermarket, so popping out to get something we need for the soup isn’t really an option. We have to make do with what we have got! Cooking for 10 people rather than just the two of us is a whole different ball game. There is an overwhelming panic that sets in when we think we may not have made enough food! Most of the time we have got it right though, and usually we have enough for some second helpings. I am still avoiding gluten and we eat a vegetarian diet on the farm. 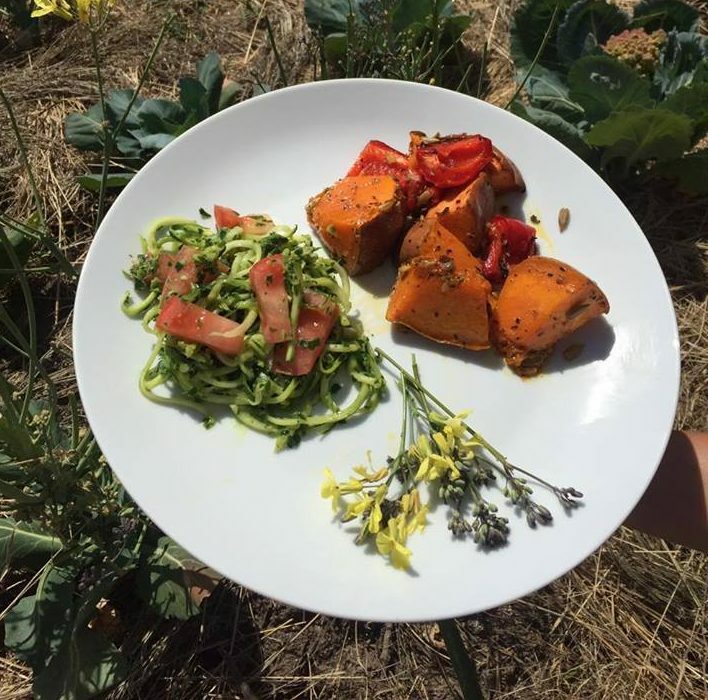 In the beginning we had 2 volunteers who were also gluten sensitive one of which was also sensitive to lactose and legumes and one of our residents can’t eat any legumes or raw garlic. Volunteers come and go and food allergies and preferences change! We now have 1 strict vegan but I am the only gluten sufferer at this time. All of these factors have really made me think hard about what to cook! 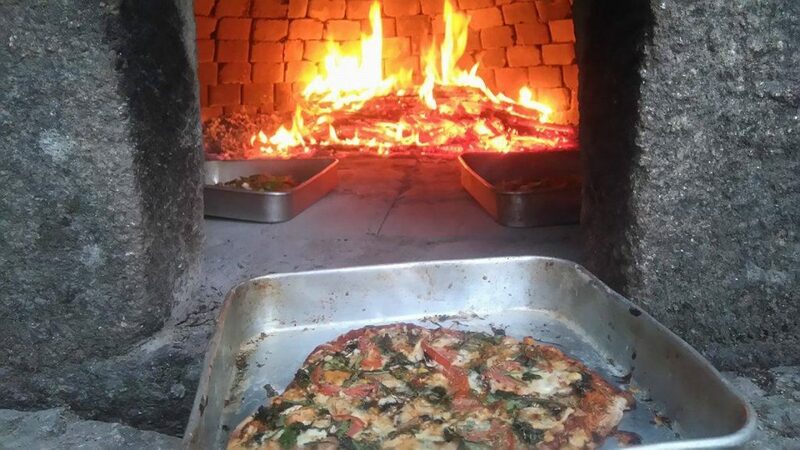 Homemade pizza going into our wood fired oven for pizza night. We buy mostly from the fruit and veg man in the village who sources the food from local farms and markets. This has cut out the twice weekly round trip to the market in Fundao, saving us on diesel, time and energy. 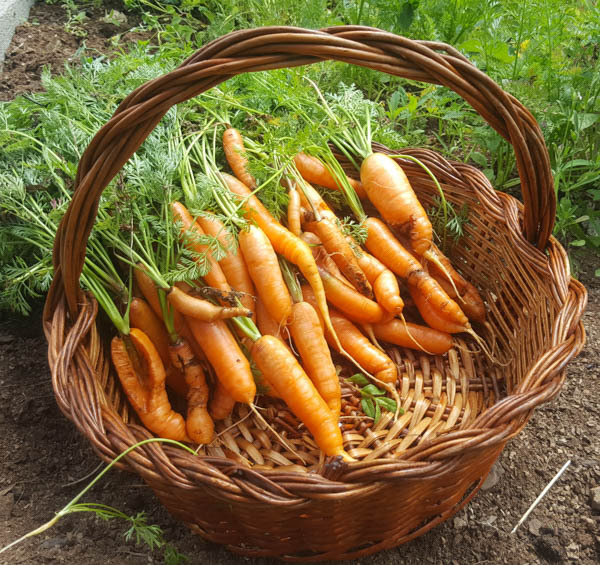 We are also now buying some items from a nearby organic farm as well, and we are now sourcing quite a lot of the food from our very own gardens! Infact yesterday we harvested some cabbage for the stir-fry right from the kitchen horta which is about 4 metres away. That was a pretty good feeling. We still have to do a few supermarket shops here and there, but try to only buy what has been grown local to Portugal. Our cheese comes from the queijaria (sheep and goat cheese farm) down the road and our eggs are supplied by our neighbour’s free-range chooks so we’re doing pretty well on the six degrees of separation when sourcing our food. Strawberry, ginger and mint smoothies are a favourite at snack time, strawberries are just coming into season! I mostly make each meal gluten, lactose and egg free which adds another level of challenge, but sometimes I have ended up making three separate dishes of macaroni cheese because I just couldn’t bear to go without the cheese! Legumes and eggs get served separately so we can add them in at the dinner table to avoid cross contamination. I feel like I have definitely risen to the challenge and I am feeling more and more confident in the kitchen as time and many dinners has passed us by. And the work that I have put into making sure that the tastes and textures are varied and exciting for each meal seems to be paying off as everyone seems to be enjoying each meal! 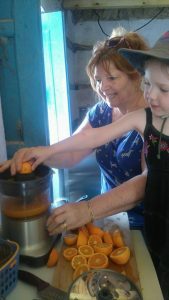 My mum and my niece making everyone orange juice for break time. The oranges were picked from our neighbour’s tree! creative cook, who is resident with us for a year, has arrived so we can share the kitchen duties and get inspired as a team for what to cook next. Recently we have been experimenting with our bread oven that was built by the previous owners many moons ago. We have successfully cooked many wheat flour loaves and last week we had a fantastic pizza night, including a gluten free chickpea flour base for me. We are also playing with zero waste in the kitchen. Any vegetable peels are put into our daily stockpot to make stock, and what we can’t use goes to the worms or the compost for the garden. We have used the leftover oats from making oat milk to make oatmeal muffins that were vegan and delicious, and our next attempt will be raw oatmeal energy bars. Watch this space for future kitchen developments and more healthy goodies from the Keela Kitchen! 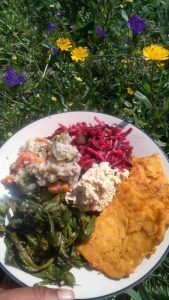 If you think you would like to get involved with our community and eat healthy meals everyday, then take a look at our volunteers section on our website.